Steve Jobs' Knighthood Nomination Blocked by Gordon Brown? 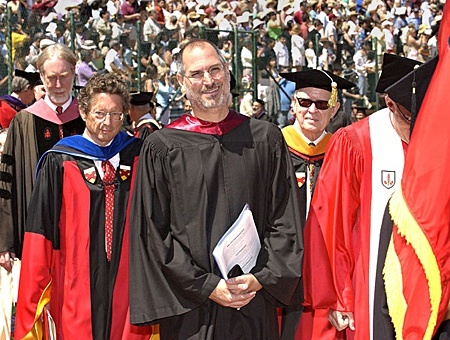 The Telegraph reports that Apple CEO Steve Jobs had been set to be awarded honorary knighthood by the British government and Queen Elizabeth II in 2009, but his nomination was blocked by Gordon Brown, who served as Prime Minister at the time. Brown's block is said to have been related to a failed bid to attract Jobs to speak at a Labour Party event. The then-Prime Minister refused to knight Mr Jobs in 2009 because he turned down an invitation to speak at the Labour Party conference, a former senior Labour MP said. Mr Jobs was put forward for the honour by the MP for services to technology. Apple is credited with revolutionising the industry in recent years with its iPhone and iPad devices, which have unleashed a boom in mobile internet usage. Honorary knighthood can be bestowed on citizens of countries outside the British Commonwealth of Nations and has been used to honor the achievements of a number of prominent individuals. Notably, Microsoft co-founder Bill Gates was named an honorary Knight Commander of the Order of the British Empire in 2005.